share house in Japan, Tokyo. 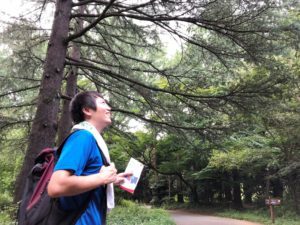 [interwhao] > Happiness Report > House information > Feature: share houses on popular Tokyu-Den-entoshi Line! Cherry blossom is full here in Tokyo area, and it’s really comfortable to live these days. I hope you readers enjoyed cherry blossom viewing, but I guess some of you are still looking for a room. Today, I introduce share houses on Tokyu-Den-entoshi Line. Our Interwhao’s office is actually located near one of the stations on the line! Tokyu-Den-entoshi Line is a train line from Chuorinkan Station (Yamato-shi, Kanagawa Pref.) to Shibuya Station (Tokyo). By express train, it takes 35 minutes from Chuorinkan St. to Shibuya St. (one-way). It’s a convenient train line for going to work and school in the areas of Tokyo or Kanagawa Pref. 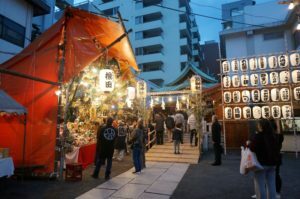 Omote-Sando, Aoyama-Itchome (both known as trendy areas) and Nagatacho, Kudanshita, Jimbocho, Otemachi (known as business areas). As a convenient line, many commuters use this line, but we can say the same thing to every morning train going to Tokyo area. What I wanted to say is, “Do not care if it is crowded or not (all trains are crowded)”. It is just my personal opinion, but as to the train from Chuorinkan St. to Shibuya St., many commuters get off at in-between stations, so you might be able to get your favorite position on the train. As a convenient train line, many, young Japanese and non-Japanese live along this Den-entoshi Line and our share houses are located, too. So, now let me introduce share houses of ours standing along Tokyu-Den-entoshi Line!! Ma Maison Sangenjaya is a women-only, detached-type, share house. 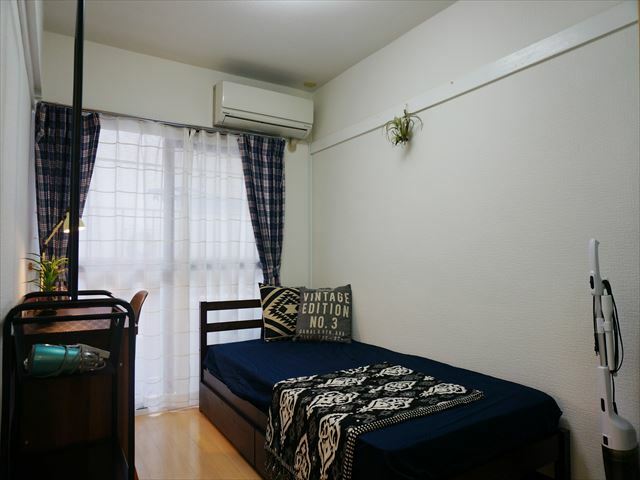 The property has 6 rooms and is located 14 minutes away from Sangenjaya St. on Tokyu-Den-entoshi Line and Tokyu-Setagaya Line. The size of the rooms and the rent differ depending on rooms. As a small, detached share house, one of the characteristics is the distance among residents. Just 1 station away from Shibuya St. by express train, it is easy to go to work and school. Bed (or sofa-matress), refrigerator, air conditioner are included. Some of the rooms include a desk and chair. There are, of course, common-use places such as bathrooms and a kitchen. The bathrooms have a bathtub attached, which is highly evaluated among women. Around the station, many people enjoy shopping on weekdays, as well as on weekends. There is a supermarket called “Summit” within 3 minutes’ walk from the house. Nothing to worry about purchasing mundane necessities. Sangenjaya is well-known for trendy shops and cozy-looking restaurants. Also, this is the area where people happen to see TV celebrities quite often. Sangenjaya is in Shibuya-ku. If you try, you can reach Shibuya Station by walking. Therefore, the rent is relatively expensive. 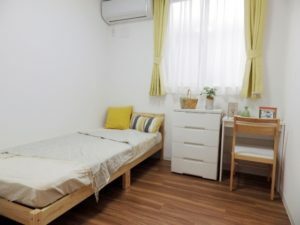 If you rent a one-room apartment, it will cost over 90,000 yen, which might make you feel hesitant. But, Ma Maison Sangenjaya saves you about 30,000 yen per month. It will be reasonable and one of the best places for people to commute to Shibuya Station and stations on JR Yamanote Line. Firsthouse Futako-tamagawa is, as the name implies, right in front of Tamagawa (Tama River). 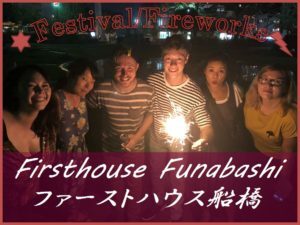 The main attraction is the famous Firework Display along Tamagawa! About 390,000 people came along in the summer of 2015. Also, the area is famous for a jogging course. There is a vast extent of land along the river, where people enjoy baseball games on weekends. This is a symbolic scene of Tamagawa, which we can see from the train. I often see our residents go jogging, too. The name of the property is Futakotamagawa, but the nearest station is Futakoshinchi. Futakoshinchi Station is a small station, but there is a various type of stores, from new to old, lining up around the station. It is recommendable for people who want to lead a cozy life but go to the metropolitan area of Tokyo. A small house, but most of the residents here commute to Futakotamagawa, Shibuya or other metropolitan areas in Tokyo, regardless of their nationalities. At the moment, about 80% of the residents are from overseas countries! 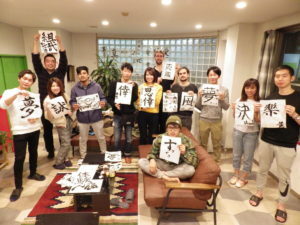 They all respect and follow culture and rules in Japan, although they have different culture and languages. Firsthouse Mizonokuchi 100+a is located 13 minutes away from Mizonokuchi Station on Tokyu-Den-entoshi Line. The building has three floors and 62 rooms in total. The 3rd floor is for women-only, a sacred area where men are not allowed to enter. At the moment, most residents are in their 20’s, the rest in their 30’s. 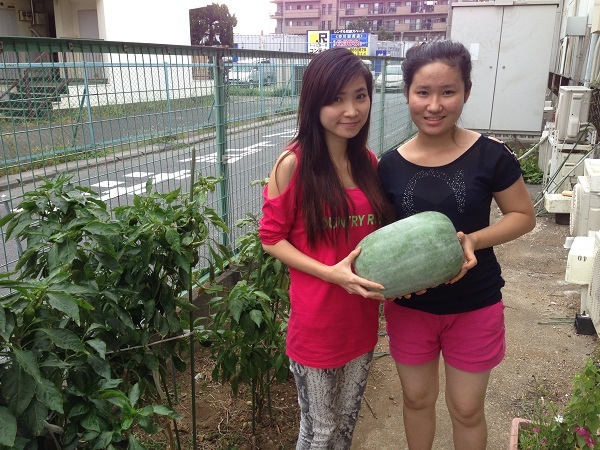 80% of the residents are workers and the rest students. Normally, the lives of students and workers are different. However, students are also busy in studying or working part-time. Therefore, it is a wrong idea if you think it’s noisy every night. 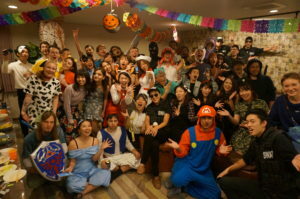 Residents enjoy socializing with one another on weekends and in our regular events, regardless of their occupation. Because many residents cook dinner and eat it with somebody else, you will see lots of daily interaction in the living room. Many residents here are so nice that they speak to newcomers. Therefore, even if you are a first-timer at a share house, you will like it. Like this, the living room where people gather around is one of our best efforts. You can sense the atmosphere, looking at the detail of the property. The concept is cafe-style, and a single sofa by the window gains a lot of sunshine and inspires you with a cafe. A leather-skin sofa for three people, showing a strong presence, and various-type furniture are surrounded by the residents every night. Lots of the residents are from overseas countries; highly recommendable for people who are interested in other culture and languages. Regular events take place. You can make friends easily. 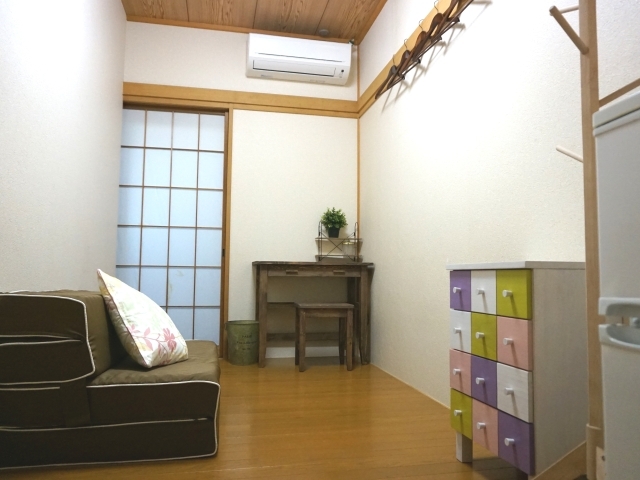 As to the room where you live, all the rooms are 8 tatami-mat large, which will be spacious enough for one person. Air conditioner, refrigerator, bed, desk, chair, closet. Mizonokuchi is a town which has existed from a long time ago. But, Tokyu-Den-entoshi Line, Tokyu-Oimachi Line and JR Nambu Line are running through Mizonokuchi, which made this town developed. You might feel that 13 minutes from Mizonokuchi Station is a bit far. But there is a facility named KSP (Kanagawa Science Park) nearby, and free shuttle bus runs between KSP and the station. The bus will shorten the trip to the station. Also, there is a supermarket, Maruetsu, and Daiso just within 1 minute from the property. Therefore, although it is a bit far from the station, you can purchase mundane necessities quickly and easily. 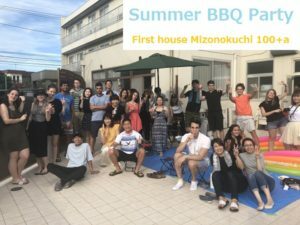 I think you have already noticed this; Firsthouse Mizonokuchi 100+b is a sister share house of Firsthouse Mizonokuchi 100+a. Firsthouse Mizonokuchi 100+b is 6 floors high, so if you try, you might be able to see 100+a from 100+b. But, 100+b is an exciting property in a bit different way from 100+a. What is characteristic are the vintage-style living room and the playing space with trendy, black-and-white tiles on the floor. High-grade, wooden furniture are placed in the living room, which gives out a sense of warmth and coziness. 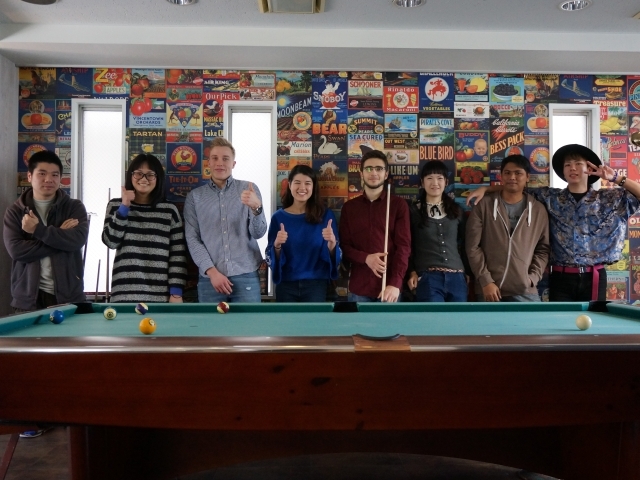 Also, there is a billiard table in the playing space, which produces communication between the residents. 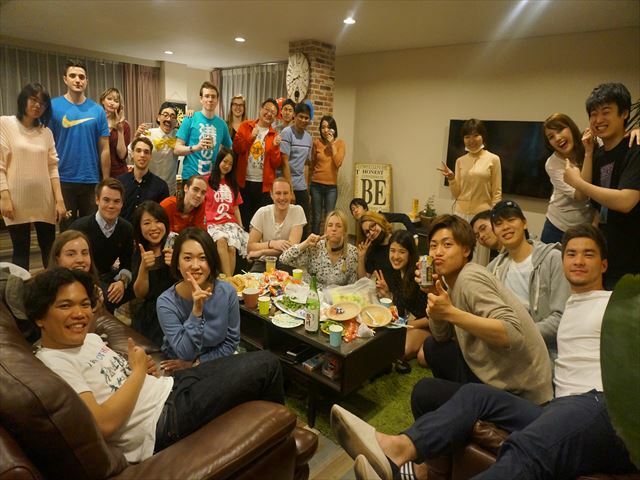 In this property, lots of the residents are from overseas countries; therefore, it is highly recommended for people who want to enjoy international interaction. 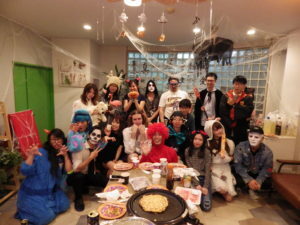 Most of the residents are in their 20’s, but they lead a fun life regardless of their occupation. And what’s interesting is that the wall and floor of the room have different colors, depending on rooms. Also, the corridors on each floor have different colors, dark-brown, ethnic, white… interesting decor! The rooms are 6 tatami-mat large with a balcony. You can hang the laundry in a sunny day! Just 200 meter away from Firsthouse Mizonokuch+a, stores around the property are the same as Firsthouse Mizonokuch+a. 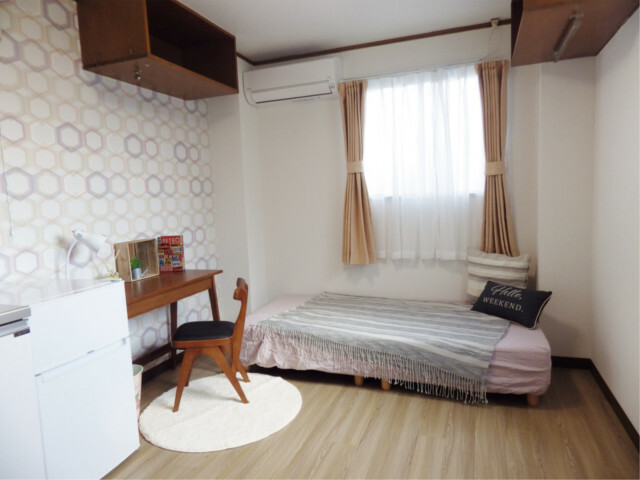 This share house is just 4 minutes from Ichigao Station on Tokyu-Den-entoshi Line, a good location. It is about 26 minutes from Shibuya Station. And if you transfer at Azamino Station and take Yokohama City Subway, you can go toward Yokohama area. 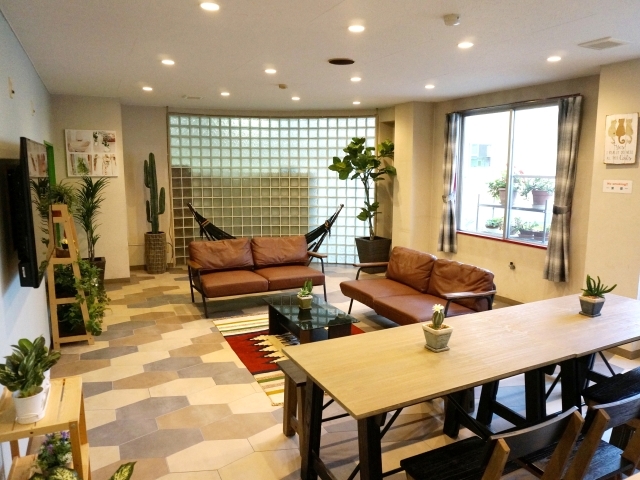 If you are looking for a house close to Shibuya Station but realize all you can find is far from the station or over your budget, I recommend this Firsthouse Ichigao. It is true that Ichigao is a bit far from mega stations like Shibuya, you might feel the life is comfortable in summer and winter season because it’s close to the station. Also, many people get off at the next station, Fujigaoka, so when you take the north-bound train at Ichigao, it might not be so crowded. Close to the station, another good point is that there are restaurants, supermarkets and convenience stores nearby. The nearest supermarket is 24-hour-open SEIYU, and there is a 100-yen shop named Seria in the same building. It is easy to purchase mundane necessities. The neighbors around the area visit a newly-opened bakery everyday. The bakery is highly recommended if you live in Ichigao. Also, around the Ichigao St., there are lots of administrative offices, like the Aoba-ku office and a tax office. Walking a bit, you can find some parks where people enjoy soccer, skateboard, basketball. A jogging course along Tsurumi River is recommendable, too! The bathroom on the 3rd floor is for women-only. The common-use shower rooms are separated between men and women. 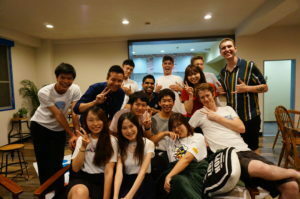 In this property as well, there are many students and workers from Japan and other countries. A lot of seasonal events take place. As you can see, this is a share house surrounded by green nature. A cozy atmosphere full of nature… this is what this share house has. 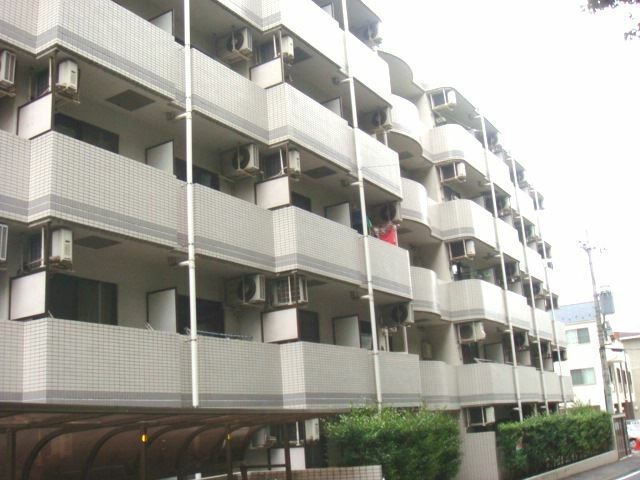 It is close to the station, just 7 minutes from Fujigaoka St. on Tokyu-Den-entoshi Line. Considering the distance from the station, the rent is reasonable. For your information, the average of renting a one-room apartment in this area is about 55,000 yen. 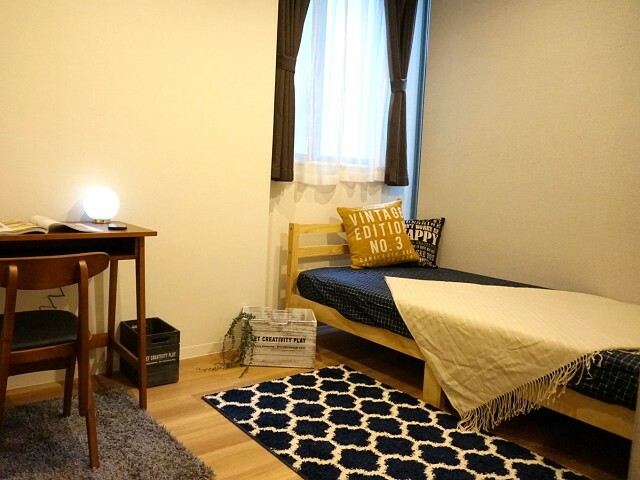 The average of renting 3LDK is over 100,000 yen. 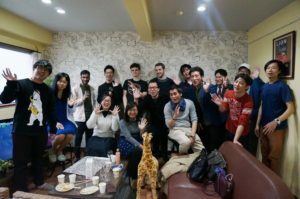 Most of the residents are students attending a Japanese language school nearby and workers commuting to Shibuya or Shinjuku. Lots of the residents are from overseas countries. It is a familiar scene that they eat meals, watch TV, or just relax in the living room. This house is recommended for people who are interested in other countries and socialization but want to cut down the rent. You can walk to the park that I mentioned in Firsthouse Ichigao part, where people enjoy soccer or basketball. When I myself used to live in this house, I would often go to the park. From my own experience, the building facilities are not high-grade, but it has everything needed. Many residents enjoy chatting in the living room, and cool breeze comes into the room. There is another park next to the property, and you can feel peaceful just hearing voice of children playing around. 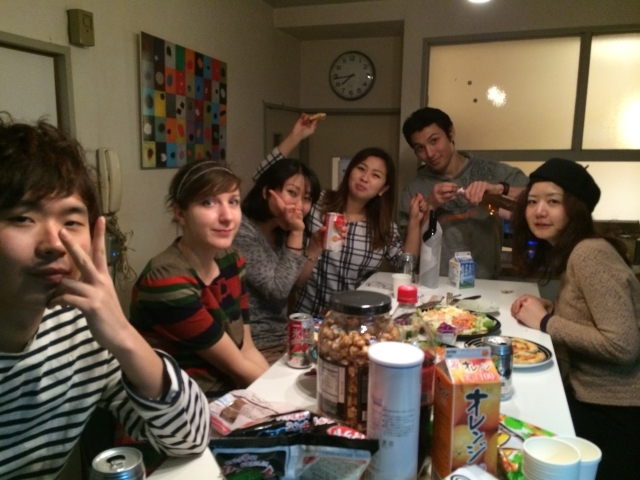 Occasionally, the residents talk about holding a takoyaki party or going to hot springs. Highly recommendable for beginners of share house. Around the station, there are a 100-yen shop, Daiso, and a drug store as well as supermarkets and restaurants. It is easy to purchase mundane necessities. My favorite one is Kushikatsu (deep-fried pork stick) stand, which is just a few seconds from the station. 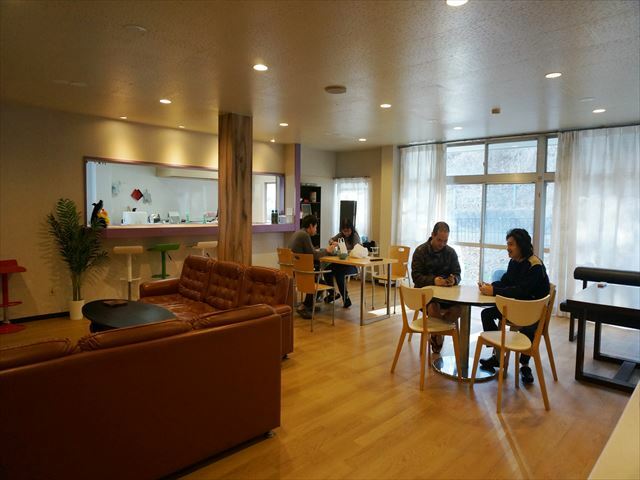 This photo shows the living room on daily life. As you notice, the floor on the living room is trendy, isn’t it? This is a pattern called herringbone. I personally like it. This Firsthouse Aobadai has a large-sized share house with 50 rooms. The nearest station is Aobadai Station on Tokyu-Den-entoshi Line. It takes 10 minutes from the station. 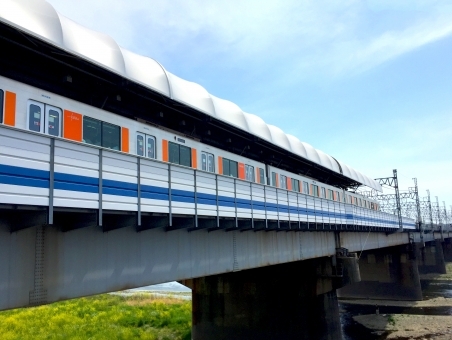 Also, you can reach Tokaichiba Station on JR Yokohama Line by 12-minute walking. Like this, this share house is good for transportation, 2 stations available on 2 train lines. 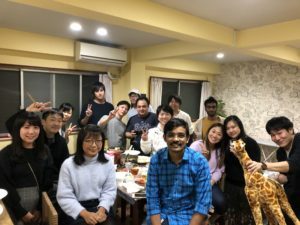 The residents are students from Japanese language schools nearby, exchange students from university and workers, good for international interaction. One of our staff members live in the house. 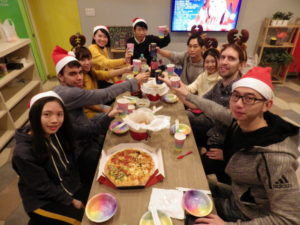 With the housemates, he eats, drinks, watches TV, and plays video games… Just writing this, I can imagine the delightful atmosphere of the house. Next to the spacious living room, there is a symbol for entertainment, a pool table, and a chalkboard on the wall. If you like drawing, please be an artist here! There is a kitchen on the left side of the photo. This structure makes it possible to talk with friends in the living room while cooking. The building has 4 floors. On the 1st floor, there is a men-only shower room, and on the 3rd floor, there is a women-only shower room and a powder room. It will be comfortable for both men and women. Close to Aobadai Station, there is a quite large shopping mall called Tokyu Square, in which many trendy cafes and variety shops line up. Express trains stop at Aobadai Station; therefore, it takes about 25 minutes to Shibuya Station without a transfer. Using JR Yokohama Line, it takes about 25 minutes, too, to Yokohama Station without a transfer. 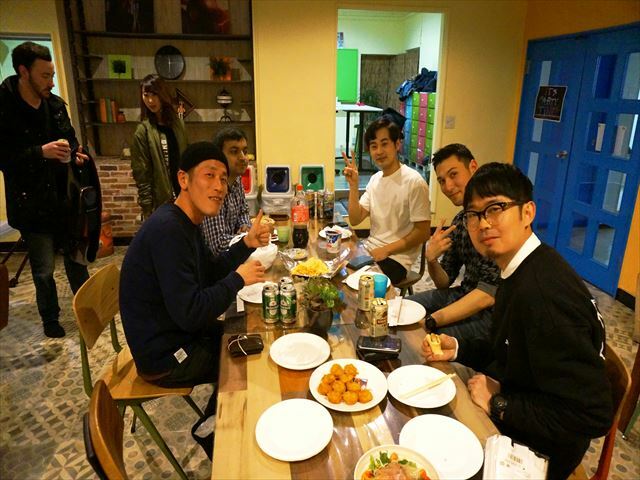 You can work in Shibuya and hang out in Yokohama… This lifestyle is possible. Den-entoshi Line is a train going through Yokohama-shi Aoba-ku (a luxurious, residential area), Kawasaki-shi Miyamae-ku, and Setagaya-ku in Tokyo. 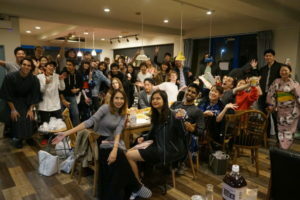 Again, it is a convenient train line going up to Omote-sando and other business areas without a transfer, because the line directly connects to Tokyo-Metro Hanzomon Line at Shibuya St..
And one of the characteristics of Interwhao’s share houses is international exchange. This is possible because people from multi-country live in most of our properties. 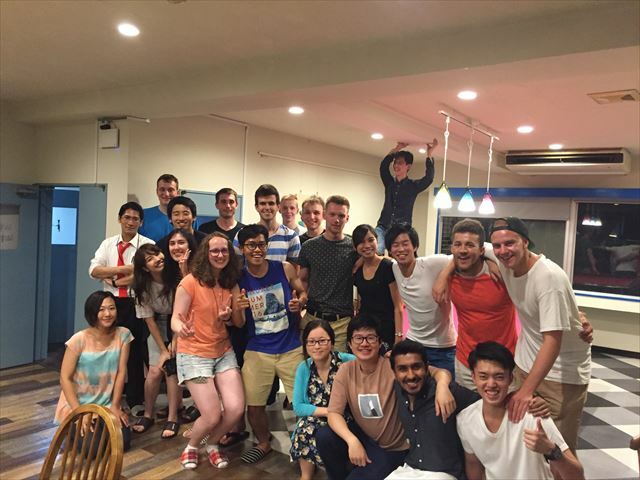 If you are seeking international exchange, please find one from our Interwhao’s properties. 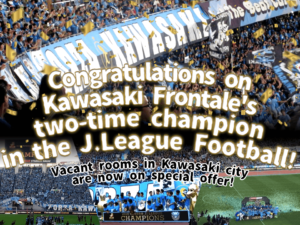 The number of rooms is limited. Inquire us quickly, and just asking questions is welcome. 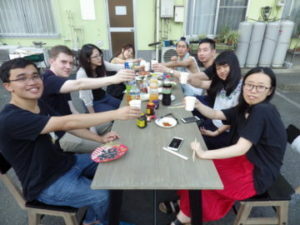 Let’s enjoy the life in share house! Thank you very much for reading all along! !